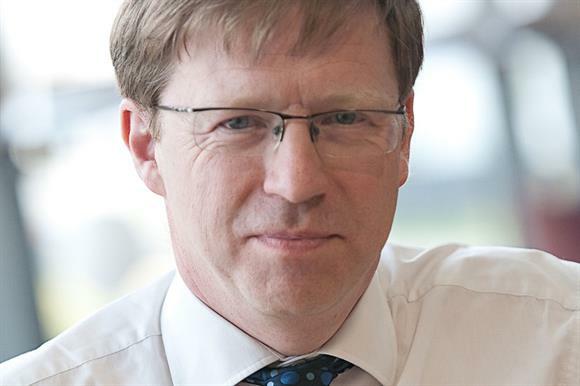 Paul Farmer, chief executive of the mental health charity Mind, has been appointed the next chair of the chief executives body Acevo. Farmer will serve a three-year term starting in January, as will new vice-chair Sharon Allen, who is chief executive of the social care workforce development charity Skills For Care. Farmer takes over from Lesley-Anne Alexander, chief executive of the RNIB, who has been chair of Acevo since 2009. The departing vice-chair, Virginia Beardshaw, chief executive of children’s communication charity I Can, has served in the role since 2012. Farmer has held his position at Mind since 2006 and, according to his profile on the charity’s website, is also the chair of the Disability Charities Consortium, the Equality and Diversity Forum’s panel on human rights and the NHS England mental health patient safety expert group. In 2013, he was voted the Most Admired Chief Executive, and joined the Acevo board this year. He said: "The next few years will be crucial for the development of our sector and I am looking forward to Acevo playing its full role in this." According to her profile on the Acevo website, Allen is a qualified social worker and joined the Acevo board in 2011. She also sits on the board and chairs the operational committee of the housing association the Cambridge Housing Society and chairs the grants panel of the homelessness transition fund run by the charity Homeless Link. She joined Skills for Care in 2010. Sir Stephen Bubb, chief executive of Acevo, thanked Alexander and Beardshaw "for their sterling support and leadership". He said of the new appointments: "Paul has been an outstanding advocate for his charity and our sector, a chief executive at the very top of his game, as is his new vice-chair Sharon. As we saw in Mind’s agenda-setting work at the party conferences this year, he has put mental health at the top of the political debate like never before. I look forward to achieving great things with our new team over the next few years." Sir Stuart Etherington, chief executive of the National Council for Voluntary Organisations, which has its offices in the same buildings in London’s King’s Cross, said: "This is an excellent appointment. Paul is a highly respected, experienced and eminently pragmatic chief executive. He will be a great asset to Acevo." Acevo has also opened nominations for four new board members, saying in a press notice that it is "particularly looking for new board members with legal expertise, from small charities, who are aged below 44 or who are members of an ethnic minority". Nominations close on 15 November and the new board will be elected at Acevo’s annual general meeting in January.